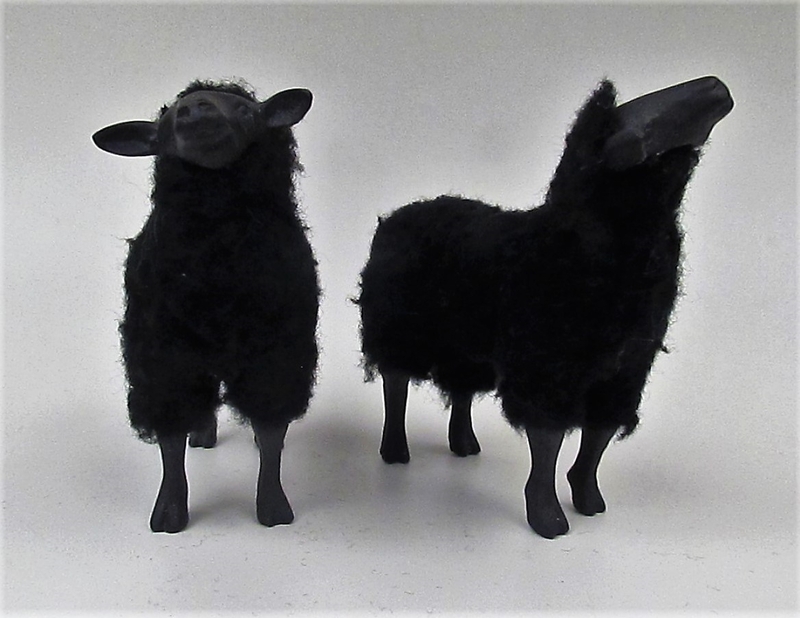 These Merino Rams are part of my Doll House series. At approximately 3 3/4" tall, they are on the 1:12 scale. They are porcelain covered with a woven wool fur.